Environmental journalist Eugene Linden, in an excellent article in the Los Angeles Times, writes that climate change is already having bad effects, even (or perhaps especially) on states whose governors loudly sneer at anthropogenic global warming: Texas, New Mexico, and Oklahoma. Texas governor Rick Perry proclaimed three official days of prayer, in which the good citizens of Texas prayed fervently for rain, with predictable results. 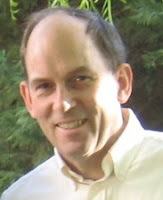 Linden is the author of a 2007 book, The Winds of Change: Climate, Weather, and the Destruction of Civilizations. The LA Times is a real newspaper. Too bad Las Vegas doesn't have one. Perry's (or is that Parry's?) problem is not the call for prayer, it is that he didn't call for a rain dance! If everybody in Texas had done a rain dance, the extra humidity from all the sweating bodies might have led to some rain, buy just praying doesn't work up a sweat. yeah ask a child and they'll tell you need to dance for rain, not pray. These guys need to retake their supernatural 101. Rattus -- "Perry's (or is that Parry's?) problem is not the call for prayer, it is that he didn't call for a rain dance!" Strangely enough, that's exactly the kind of thing godfearing folk were doing during the Great Dust Bowl. Read up on Hugh Hammond Bennett. -One's reason and senses have primacy over any text. (Trasnslation: use the gifts I gave you first, before you did into supplemental sources. Revealed Truths are there for guidance. They are not chains.) Since, you, Gov. Perry, have sinned against Reason and your Senses, your entire state will be punished. -- from God and AGW, a tragedy in 500 Trillion Acts. Rain dance always works; continue dancing until it rains.